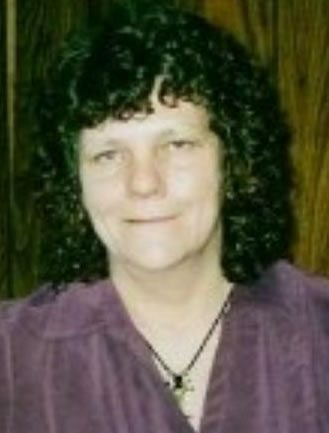 Charlotte L. Grover Charlotte L. Grover, 69, of 3259 Route 394, Ash-ville, passed away Thurs-day, March 15, 2018, in her home.She was the widow of James R. Grover, whom she married June 22, 1974 and who died Jan. 26, 1993. Charlotte was born June 23, 1948, in Jamestown, a daughter of the late Frank and Grace Saxton Stow, and was a graduate of Chautauqua Central School.For over 30 years she had been employed as a Teacherás Aide at the Ash-ville BOCES. Charlotte also served as animal control officer for the Town of North Harmony for many years, and additionally the Town of Busti, Village of Lakewood and town of Ellery. \She loved all animals and as a horse lover, she en-joyed breeding and showing horses in earlier years. She also loved making dream catchers.Surviving are three sons: Brian (and his wife, Annie) Fuller of Middletown, Pa., James (and his fiance, Jennifer) Grover of Mayville, and John (and his wife, Melissa) Grover of Ash-ville; and six grandchildren: Trevor Grover, RJ Grover, Kaity Elderkin, Taren Grover, Alyvia Grover and Brian Fuller Jr.
Also surviving are brothers: Frank E. (Vickie) Stow of Ash-ville, Michael S. Stow of Mayville, Mark (Carolyn) Stow of Ashville and Matthew (Cheryl) Stow of Ashville, as well as sister and brother: Rhonda Hat-field and Ron Saxton, both of Ashville.In addition to her husband, James and her parents, she was preceded in death by a sister, Margaret Ryan; and brother, John Stow.The funeral will be held at 11 a.m. Tuesday in the Lind Funeral Home. The Rev. Carolyn Stow will officiate. Burial will be in the Maple Grove Cemetery, Ashville.Friends will be received from 4-7 p.m. Monday in the funeral home.Memorials may be made to the Ashville Fire Department, 5338B Stow Road, Ashville, NY 14710, or to the Chautauqua County Humane Society, 2825 Strunk Road, Jamestown, NY 14701.Condolences for the family may be made at www.lindfuneralhome.com.